Like a trip to your favorite independent record store or as the iconic founder once described it, “a black nerd version of NPR, ”Questlove Supreme has enlightened, enriched, and engaged millions with smart, slick, and sharp commentary on all things music, pop culture, and beyond since it launched on Pandora in 2016. The format spans personal musical selections courtesy of the show’s namesake, provocative conversations, and in-depth and intimate interviews. 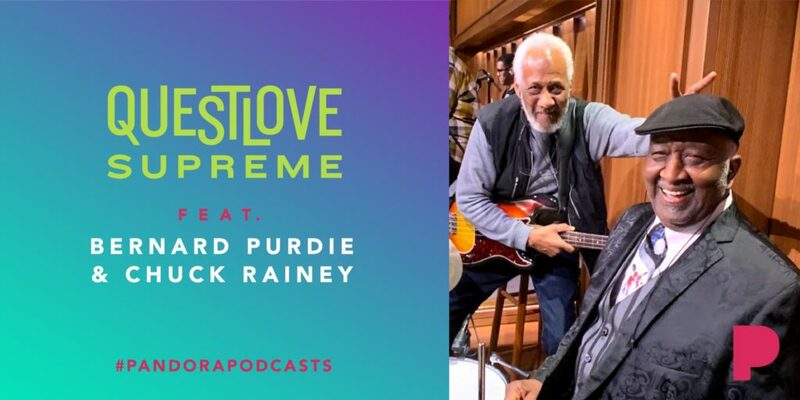 This week on VERY special episode, Questlove is joined the legends: drummer Bernard Purdie and bassist Chuck Rainey who reminisce on the recording of Aretha Franklin‘s “Amazing Grace” and so much more.